It looks and sounds like a lovely place, Elaine! Glad you are enjoying it. Thank you, Diane. We had a lovely time and plan to go back. To be perfectly honest, I had a hard time focusing on AK at the time. Thanks for the reference; it looks like fun! That restaurant looks extraordinary. Morelia seems to be a city which combines modernity with tradition so as a modern tourist you can get about and yet there is still the reality of people’s deeper lives to see. I don’t know that I saw that while I and my daughters were in Milan. One might need to go out to the countryside in Italy; now and again in Rome Jim and I (we had five weeks) came into touch with this older life. 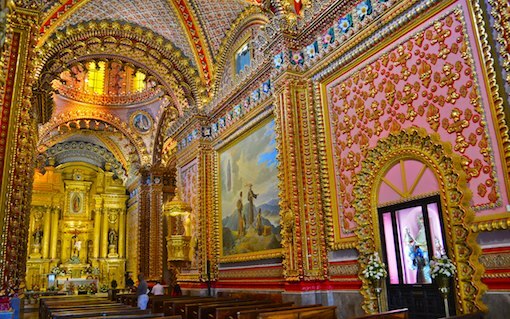 Yes, the historical centres of most Mexican cities have been preserved, restored and modernized. They are the places in which the tourists converge, but there is also nightlife for the locals. Each centre has a square, the Zócalo, and this is the traditional space for socializing. It is usually beside the church and consists of green space, walkways, and benches, sometimes even a fountain.